I am a reluctant formal dresser but when the occasion arises, I'm pretty fussy when it comes to my shirts and the finished look. 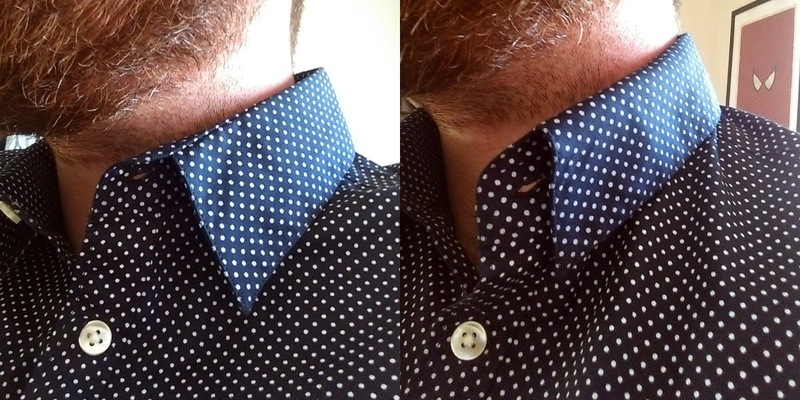 Waaaay back in the day, a man's shirt and collar came in 2 separate pieces; a grandad-style shirt and a stiff collar piece that would be held in place with a pin in the back and buttoned at the front. Modern "easy" dressing this seems to have came at the expense of luxury and those extra special finishing touches. We now buy shirts with single cuffs, so we don't need to wear cufflinks anymore and the collars have changed to fused fabrics to reduce ironing efforts. However, even when your collar has channels for collar stays, how many of us just use the plastic ones that come with the shirt? And honestly, how many of us actually remove them when doing the laundry? 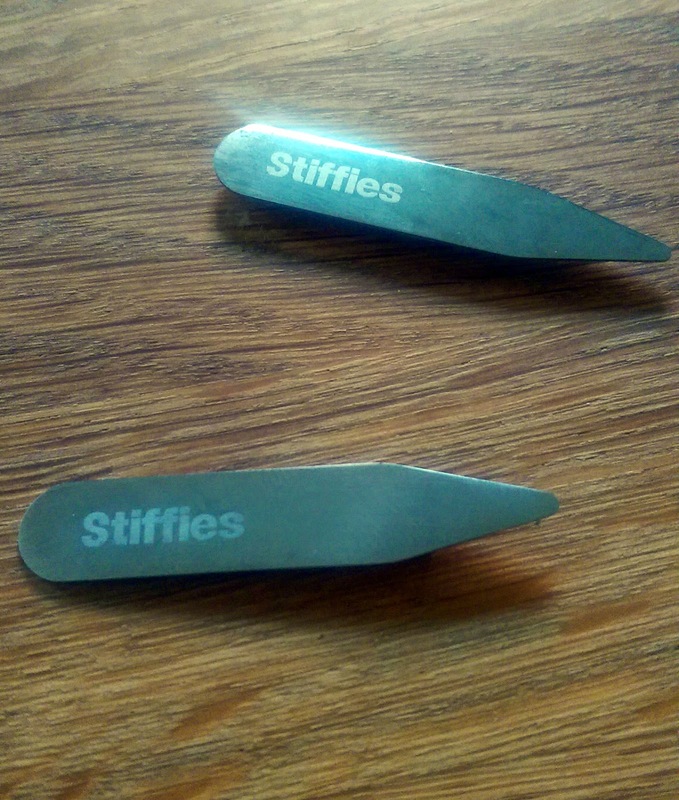 Stiffies seek to mix the modern with the classic by creating a range of stylish stainless steel collar stiffeners. They kindly send me a pack and I gave them a test run! After pressing your collar. inserting a quality stay will dramatically change the shape of your collar; creating a much more professional and polished appearance. 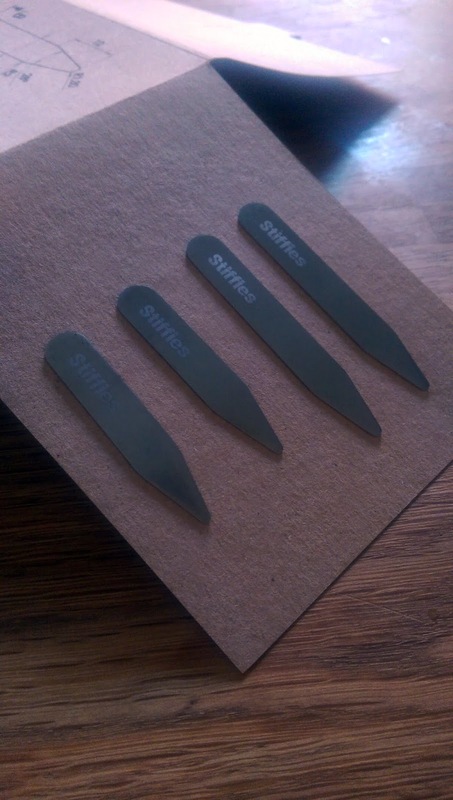 What makes their collar stiffeners even more technically wonderful is the addition of sleek magnets. Pop one behind your collar to hold it in place and prevent that dreaded sloppy spread that can happen when you're going without a tie. *As these have a strong magnet, just make sure you don't put them near your laptop, watch or wallet if you have them in your gym bag etc. left - without magnet. right - with magnet. Priced at £17.99, these are not going to bankrupt you and will make all the difference to your working wardrobe. 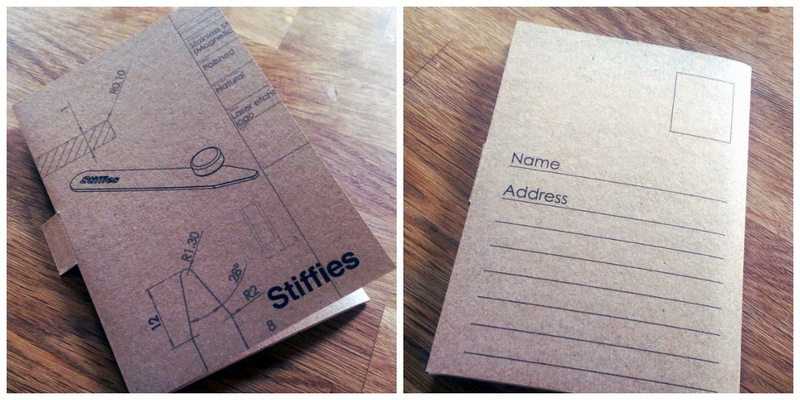 I especially like the Stiffies packaging . It's like a technical manual - appealing to plenty of blokes. You can also refold it into a postcard envelope if want to send them as a gift! These are definitely not one of those inappropriate Stiffies that you have to hide!